San Francisco-based Munchery has raised $4M in Series A funding in a round led by E.Ventures with angel investors WordPress founder Matt Mullenweg, Facebook first sister Randi Zuckerberg, and El Dorado Ventures’ Tom Peterson. The idea is to grow from San Francisco to all of the Bay Area and then head down to LA and beyond. We eat Munchery every week and the service and food quality is indeed solid. It’s not much of a tech play. They do have an app and Web site, but the basic idea is logistics. Munchery connects people at home, and in our case an office, with chefs who make health food and deliver that to them. It’s not food from restaurants but from independent chefs. Our meal this week was a Salmon, salad with beets and carots, cookies, and some kind of bulgar rice. 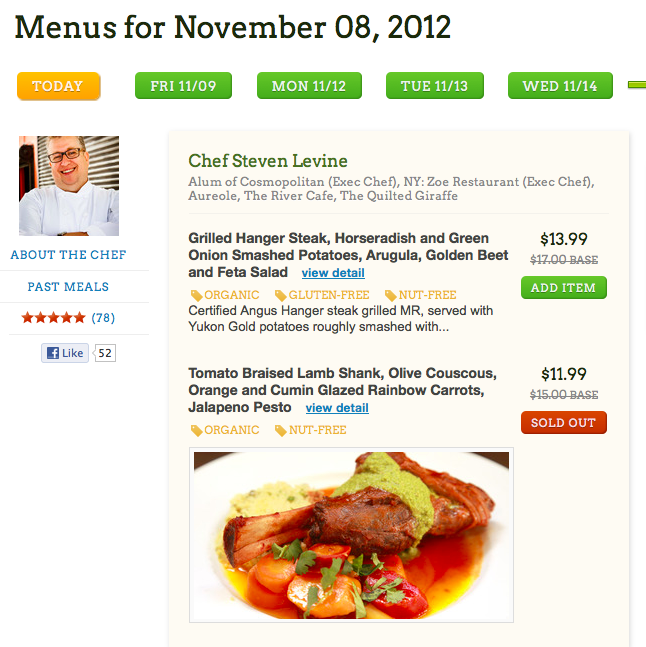 Munchery is good at providing a menu that gives fancier descriptions to their cooking then we do. They do a good job at sourcing what seems to be farmers market fare. If we had a complaint it would be that the food can be predictable. You are not going to get hamburgers or thai food to mix things up. The wife says she appreciates the salad dressings in particular. Pricing is very good for the consumer. Hard to see how the chef benefits but they must carve off something. Munchery does fit in to the trend where companies and people are willing to spend more on food made for them. McDonalds reported poor numbers today and we heard one analyst explaining that more people prefer to spend more for higher quality fare that is still affordable.